The start of a New Year can trigger a deluge of emotions for the sales professional. Excitement for the chance at a better year than the last, curiosity for what challenges we will encounter, and optimism for the opportunity to set ourselves up for our best year yet. Among others, these all trickle down to motivation -- the wind in our sails, the motor inside our propeller, and the fuel that fills our tank. This sense of excitement tends to be the highest in the early weeks of the first quarter. Motivation is the combination of desire, values, and belief that drive us to action. Salespeople are all part of a self-fulfilling prophecy. When we are motivated we work harder. When we work harder, we increase our potential for success. When we increase that potential, the results prove the equation true. To keep the engine healthy, the key is for sales managers to ensure their team preforms at optimal capacity. However, many sales managers face the challenge of maintaining a high motivation level after the novelty of the first quarter dulls. Managers experience difficulty in harnessing energy as the quarters come and go. How can you keep your team motivated throughout the year? Have your team individually set an intention for their year. The idea behind this is to know the results you desire, commit to getting there, and staying present throughout. Setting an intention is the start to many spiritual practices because it serves as the core on which all energy is focused, which helps guide our actions towards that intent. This will always give you a sense of meaning. And many of us know that sales is based as much on skill as it is on mindset. By deciding what you want your year to look like and how you will exist in it, you are already signing a contract with yourself every day to make it happen. This is a powerful way to stay motivated and centered as the year progresses. I am in full support of setting “moonshot goals”. These are long- term goals that are, far off, yet attainable with the right combination of belief and hard work. However, setting short- term goals to help us reach the longer ones allow for quicker wins and more successes which in turn helps motivate us to reach future objectives. Take marathon runners for example. They know that with each passing mile they are closer to their end goal. As each mile passes they enjoy a small victory knowing they are that much closer to the finish line. Towards the end, adrenaline is peaking, motivation is high, and the final burst of energy leads them to complete their race. That psychology is repeatable. When we set short- term goals and experience those small wins we create a plan for ourselves to reach long- term success with perpetual motivation. Many sales people will adorn their desk with reminders of the goal they wish to reach. Some choose to write their quotas or a number well above it. Some like to hang a quote. There is a reason this works well for so many people; when something is out of sight it truly is out of mind. By displaying our goals as a constant reminder we lessen our chances of deviating away from what it takes to reach them. This is a great way to stay motivated and constantly check -in with ourselves on where we stand in our pursuit for a successful year. 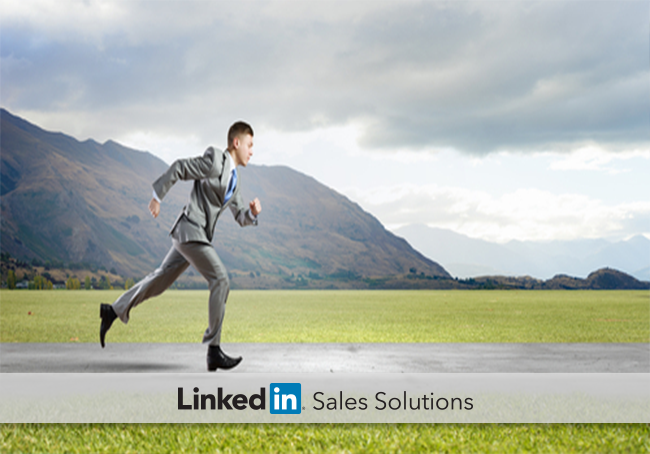 By nature, sales professionals are motivated by competition. As a sales manager your job is to make it fun and interesting to bring this competitive spirit out in a positive way that highlights both the individual and the collective team. Gamification has emerged as a new trend among innovative sales teams. Gamification involves creating small contests throughout the year to keep your team motivated. For example, the first sales rep to create 10 new consecutive meetings will receive a prize of their choosing. Others compete across regional teams. The first team to reach a set target will receive a prize they can enjoy as a team, such as a team outing. This style of competition makes for a more energetic environment. Take some time to think about your sales team. What interests them? When do they seem most excited? What motivational styles will appeal to their individual personalities and the team? Setting them up for success early in the year is pivotal, and keeping spirits and motivation high throughout is sure to bring results for your team.